the girls, I really couldn't think of a better party venue. They are all thrilled with their artwork and I have had lots of texts from delighted Mums.'' - Jane Ohal Screenprinting Party, 2015. Looking for something different for a children's birthday party? Join us in our light and spacious professional printmaking studio, the perfect venue for everyone to get creative and have fun! 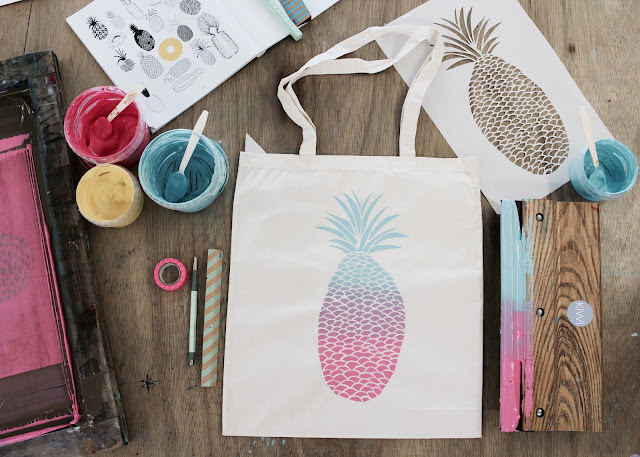 We will take the party through the steps of designing and cutting a stencil, mixing their colours and pulling a print onto their tote or t-shirt. Everyone will go home with their very own hand printed t-shirt or tote as well as a paper print perfect to be taken home and framed. We will even hand print your party invitations to hand out to all of your friends. 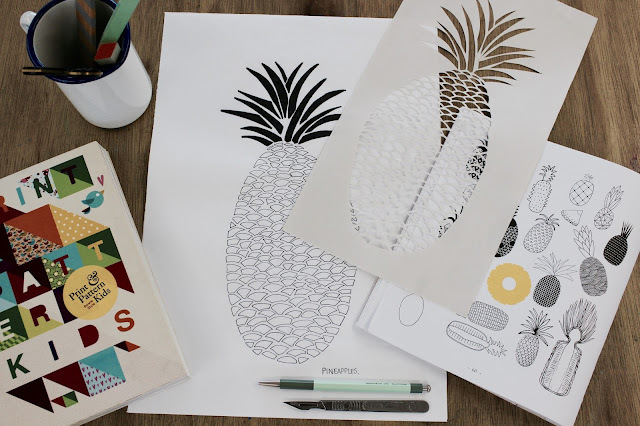 Bookings: There's a minimum booking of 6 and a maximum of 10 for our print parties. Deposit: £5.00 deposit per person is when you book your party. Party Invites: Invites are designed in-house and sent out when you book, ready for you to fill in your details and send out to your pals. *Please note we will need a weeks notice to print and send out your invites to you. Nibbles: We don't provide food but if you wanted to bring cold snacks, cake and soft drinks please feel free. Requirements: Please ensure children wear old clothes and comfy shoes.